Wiping Gland that is manufactured from heavy duty brass. 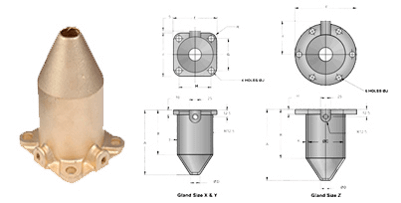 Wiping Glands are made as per customers drawings & specifications. Application : For use with SWA plastic and rubber (Elastomer) sheathed cables. Used in dry indoor conditions.